Every office is different, but we think these hard-and-fast fashion rules are applicable to almost any workplace setting. Go ahead and check out our handy wardrobe guide to ensure you’re not the reason HR is sending out that dress code refresher. Rule 1: Your neckline should never be lower than 4 inches below your collarbone. Rule 2: Sleeveless tops should extend to the edges of your shoulders. No spaghetti straps allowed! Rule 3: When in doubt, wear pumps. Rule 4: Jeans necessitate more formal pairings, like a blazer and smart oxfords. Rule 5: Make sure all items are pressed and as wrinkle-free as possible. 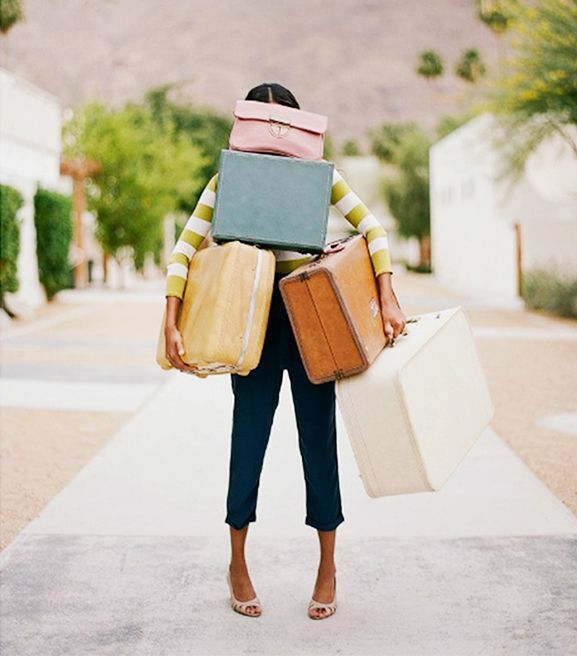 What items should I pack for a work trip? Rule 6: Don’t go overboard with print mixing. A subtle stripe and floral is on point. Rule 7: If you wear a slightly sheer top, make sure to top it with a blazer. Wear a camisole underneath to be extra safe. Rule 8: The safest hemline is at the knee. Never go shorter than a few inches above the knee. Rule 9: If you want to wear a bold piece like printed pants, balance it with polished items, like a crisp white blouse. What office style rules do you live by? Let us know in the comments below!